The development of Artificial Intelligence (AI) is concurrently triggering phantasmatic hopes and fears for the laymen. On one hand, AI enhances services and experiences, aiming at satisfying users’ needs proactively, accurately & effectively. On the other hand, AI also raises concerns such as redundant competencies and subsequent human employability threats, or unethical usages, leading to legitimate questions over control and protection of human rights. In whichever context a product, service or idea is conceived, Design must always be at the core of all stages: from inception to deployment, as to secure conducive and positive human-centred AI-leveraged solutions. This Conference will be tackling these crucial themes in a fresh and eye-opening presentation. 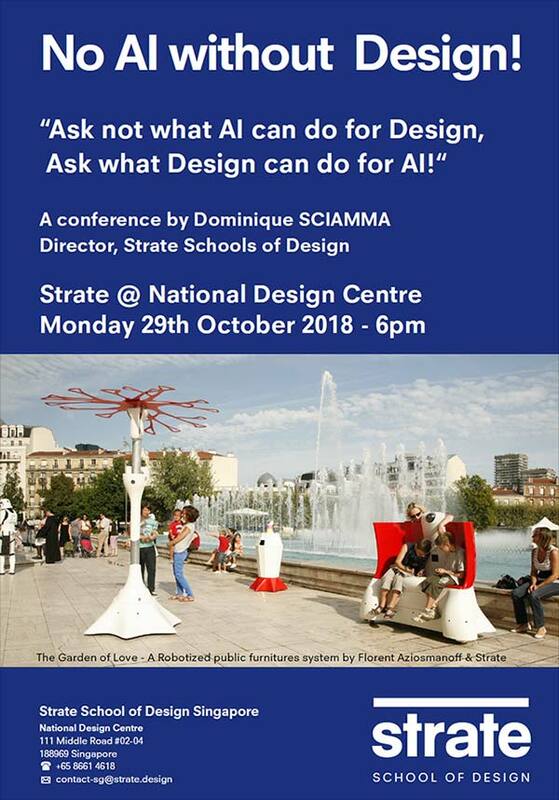 This conference will give you a substantial idea of the key concepts of Strate's design philosophy. More information about Strate's Master in Design for Smart City in Singapore.